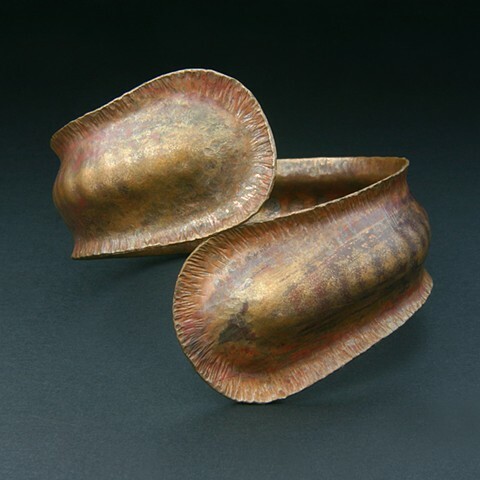 Hand forged Copper bi-pass bangle bracelet. This design is very organic and natural. It brings to life the ideal of sea kelp, leaves, bark and pods.